On today’s Bountie Talk episode, we talk to our Chief Technology Officer, Remek Lipinski, where he shares about his role in Bountie, gaming experience, his tech background, and past businesses in IT, A.I, and more. As a Chief Technology Officer, Remek is in charge of leading a team of developers and engineers to build Bountie’s platform. Remek is a career engineer and IT professional with 20 years experience in research organisations, large multinationals, and start-ups. The ex-CTO of Singaporean IDOOH also has extensive experience in tele and data communications from his time working at Siemens and Lucent. What do you find interesting about Bountie? The cryptocurrency space was of interest to me. I was mining Bitcoin (5 to 6 years ago) but only now, you see the interest in application and technology. When you see something interesting, you go for it. What are the cool things you find about cryptocurrency & blockchain? My personal belief is that so far, Bitcoin and the hype around cryptocurrency is a distraction from the real applications. The real application has yet to reveal themselves. 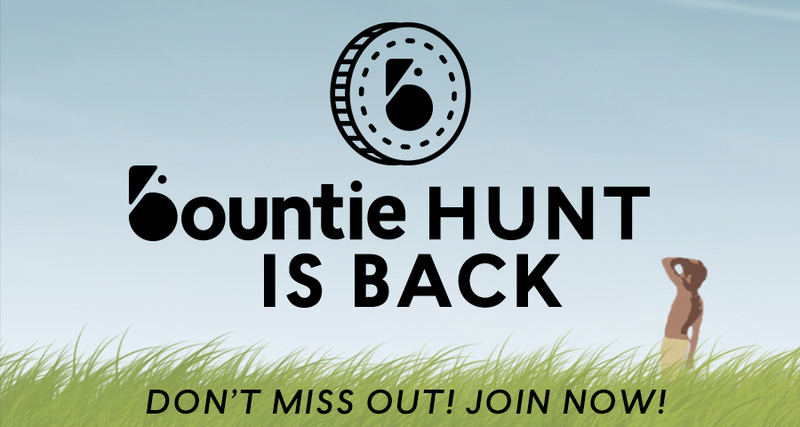 Did you know that we have a new Bountie Hunt contest? All you have to do is complete a number of simple Bountie-related tasks to win a 100,000 Bountie Tokens. Head to this link participate.